Happy Friday! We are currently in the car driving to Orlando! We are headed to Disney World for the weekend with my two sisters and their families! I am so excited to take Andi for the first time. Today I wanted to share some of my recent Instagram pictures. I have not done a Instagram roundup in a really long time. And I get so many questions about where things are from and it is hard to answer every one. So hopefully this is helpful. I hope you all have a great weekend! Thanks for stopping by! Absolutely loved this Insta roundup!!! 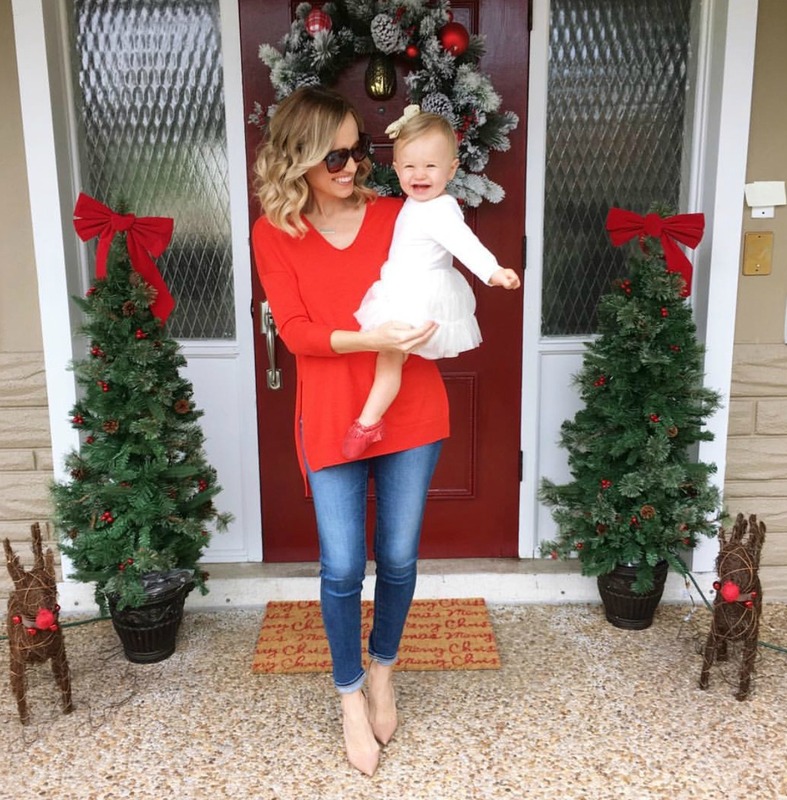 Tons of cute photos and amazing outfit details! 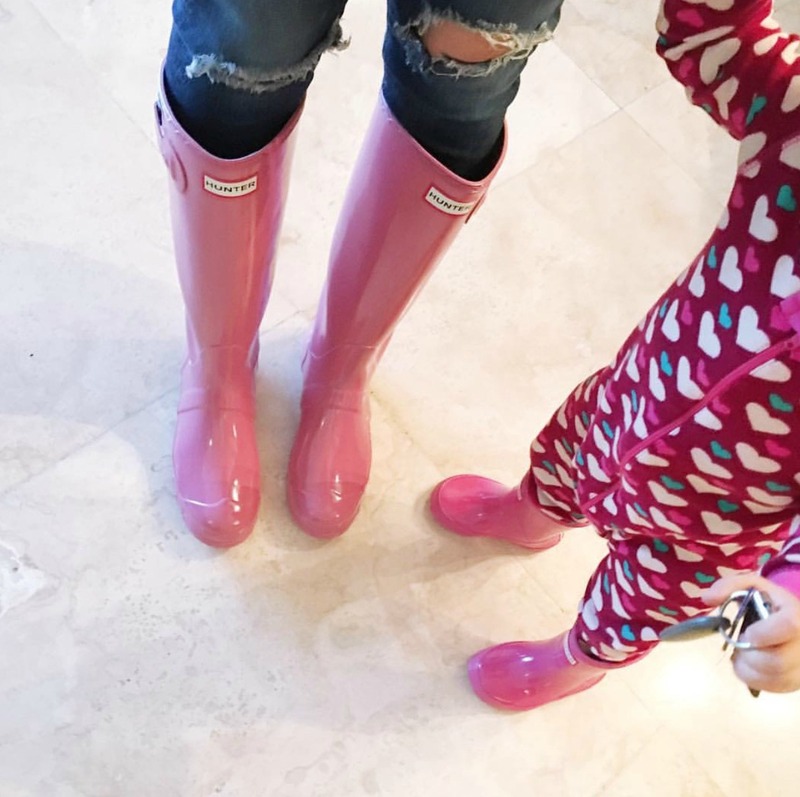 Loving those pink Hunter boots! GREAT round up. One of my fave feeds. The rubber boots is really cute,,,,. Love it all. You and Andi are so cute!! Loving the sheinside coat! I love the pink and the brown option they have too. I love that first picture! You rock that cape!! Love all of these looks, especially that pink coat. What a chic trip with the little one to Orlando! You make it look so effortless to be so composed and ready to go! Thanks for the great post! I love your matching pink Hunter boots!! Such a cute roundup!! We love your style and love stopping in to see what you're up to! Our favorites are the pink hunters and the pink pea coat! We love pink and it looks fabulous on you! I always love your Instagram Round-ups! I'm OBSESSED with the pink baby/miniature Hunter's! :) Have a lovely week! So many great outfits for Valentine's day! Unsual outfit and I like it.